Heavy metals are naturally existing elements that have relatively high atomic weight and a minimum density five times the density of water. Heavy metals have extensive applications in industries, homes, agriculture and medicine, leading to their wide distribution in the environment. Most heavy metals are reported to be highly toxic. They also have numerous exposure routes, including ingestion, inhalation, and dermal absorption, subsequently inducing some health effects resulting from human and heavy metals contact. The implications of heavy metals with regards to children’s health have been noted to be more severe compared to adults. The element’s harmful consequences on children health include mental retardation, neurocognitive disorders, behavioral disorders, respiratory problems, cancer and cardiovascular diseases. 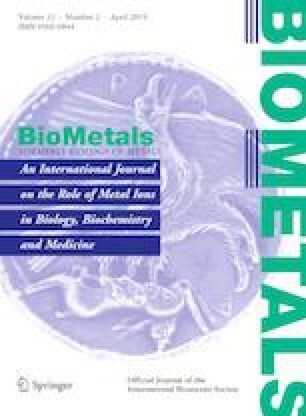 Much attention should be given to heavy metals because of their high toxicity potential, widespread use, and prevalence. This review therefore examines the exposure routes and health effects of mercury (Hg), lead (Pb), chromium (Cr), cadmium (Cd), and barium (Ba) on children. In addition, their toxic mechanisms are elucidated. This work was supported by National Natural Science Foundation (81502787, 81773393), Central South University Innovation Driven Project (20170027010004), Key Research and Development Projects in Hunan Province (2018WK2013), and National key research and development program of China (2016YFC0900800).